Desktop-based online dating is so 2008. Although sites such as eHarmony.com remain popular with older singles, younger users are flocking to mobile-first dating apps. 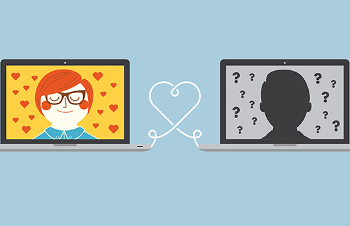 Here’s a look at some digital tools for today’s lonely hearts. Siren is a new dating app created “for women by women”. The founders say the idea came about after friends’ complaints of lewd online exchanges. Similar apps like Hinge, Wyldfire and Willow rely on other users’ vouching for potential suitors. Research shows that as society becomes increasingly plugged in, attitudes have shifted positively toward finding love online. Web dating is no longer associated with recluses hiding behind a computer screen. In fact, one in 10 Americans has used an online dating site or app, according to a 2013 Pew Research report on online relationships. Susie Lee, left, and Katrina Hess created the Siren dating app. CEO Susie Lee and design director Katrina Hess created Siren based on the core principle that “women needed to control visibility,” Lee said, meaning the users can give clear signals that they’re actually interested and comfortable talking to the suitor of their choice. “I just started looking (at online dating options) and very quickly realized how many things are out there and how immediately my ‘creepy meter’ went up,” Lee said. Lee says the app is not meant to be the counterpart to the “He-Man Woman Hater’s Club” but instead a place for women to control their images — whether because they are in a high-profile position or to simply ward off objectification. Lee likens the visibility functionality to a real-world interaction in which a woman makes eye contact or smiles as a signal of interest to a potential suitor. If the suitor ends up untoward, she can toggle her visibility in the same way she could decline conversation in a social setting. Next, the user is prompted with an open-ended “question of the day.” The female users will see all the men who responded that day; if a woman likes a man’s take, she can either choose to make herself visible to him or save his profile to scope out future responses and get a broader sense of his personality. On the flip side, a male user will see the female user’s answers without seeing a profile picture. If his interest is piqued, he can hit an option to notify Siren. The app acts as a third party, alerting the woman that a user liked her answer and inviting her to check him out. The woman can ultimately decide to make herself visible. With Siren, there’s also a vouching component: Women can forward a man’s profile to friends for their opinion; “wingwomen” can sign on without a public profile so they can help their friends in their search.